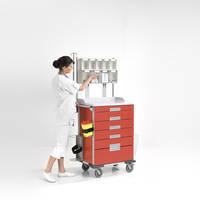 Belintra specialises in transport and storage for the healthcare sector. The effective management of logistics is vitally important in the health care industry. 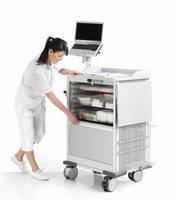 Efficient storage and transport practices can help to reduce the efforts required to address these issues and redirect the resources to patient care. During its 40 years of service, Belintra has gained extensive experience in logistics and is an expert in the field. Our goal is to provide better patient safety, reduce costs and improve ergonomics by analysing the actual workflow around sterile and non-sterile goods and medication and optimise the process. Sterilisation products and the logistic flow between CSSD and O.R. We understand very well that our customers do not all have the same working methods or demands. That is why we prefer to work in close consultation with our customers to find the products that best meet their requirements and fit best within their environment. At Belintra, every product can be entirely adapted to our customers’ needs.